While working at Microsoft research in Seattle, WA in the External Research department, I developed eSurface. E-Science and the collection, computation, analysis and annotation of large data sets is a field that is rapidly becoming a way of scientists to collaborate and share research in complex fields. Currently much time and research is being put into developing tools for computation and analysis of specific data types. 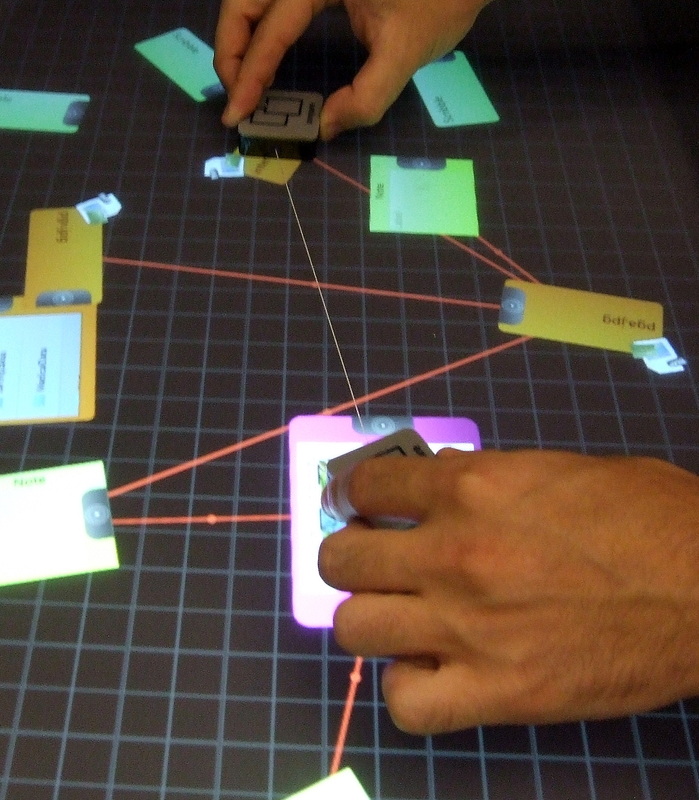 We aimed to investigate via prototyping how multi touch interface technology, primarily Surface could be used to facilitate the annotation and sharing of data and ideas. To this end, I developed a tangible multi-touch system based around the spacial representation of data relationships. Physical tools are used to manipulate this space. During the development of this prototype, I considered many aspects of collaboration, including temporal interaction, co-location of users and visualization interactions. For more information, please view the poster and short paper submitted to e-science conference in oxford. © Tom Bartindale 2014. All rights reserved.